MVM produces a wide range of Signage and large format display banners and posters. This new feature enables us to expand our services to include large scale projects that help spread the word about a business or company to an even greater audience. This is only made possible through our dedication to equip our offices with the best and latest in printing technology for more efficient service, including some additional benefits. We have installed the HP L25500 which utilises the latest in eco-friendly latex ink technology to produce stunning prints for both interior and exterior use. Whenever our customers contact us for their large scale printing requirements, they’ll be doing so with the knowledge that they won’t be contributing to pollution through the process. This is an increasingly important factor for many people across the region – including us – and we’re very excited to have this technology available for our customers. The Latex machine and the print it produces are recognised as the most environmentally friendly in the wide format and signage industry with a BERTL 5 – Star exceptional rating. This puts nearly every product that we have on offer on a higher standard in more than a single aspect. 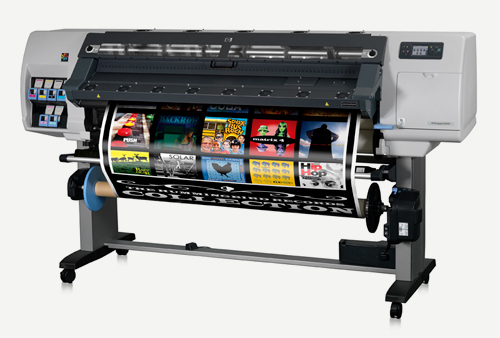 Large format printing and signage is the next step in reaching a bigger audience when it comes to printing materials. Explore the rest of our website and see how else we can make your business better known to your audience.